There are increased problems associated with the improper usages of mobile phones by adolescents; however, modern technological advancements also put its footsteps to use mobile phones as a wonderful device to identify adolescent depression. The Murdoch Children Research Institute claims for the crown in this aspect exclusively for its wonderful innovation. The Murdoch Children Research Institute offers its valuable contribution to the field of research primarily focusing on different health aspects of children and adolescents. It is considered as the one of major child health research institutes around the world. The research team comprises of 900 passionate research scholars who are continuously contributing in the research era with their detailed understanding and creative aptitude. The Murdoch Children Research Institute is offering a Java-based mobile application that enables an understanding of observation and early identification of warning-sign of adolescent depression. It is assumed to be first ever made application that can be used for such purpose. The research had been conducted in Australia with a focus group consisting of 40 young individuals. 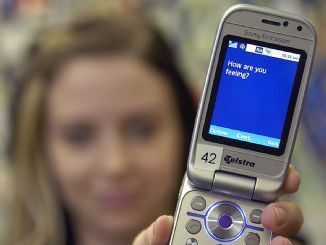 The adolescents were supplied with Nokia 6260 where the application was pre-loaded. As noted by Dr. Sophie Reid, adolescents’ anxiety and depression have become one of the major complications that need to take into serious consideration. The present strength of the adolescent sufferers may include a population of more than 30% and there is an increased possibility that this complication will strike the nation as one of the serious ones during 2020. The application will primarily concern the idea how youngsters responds to the signal of distress. The application collects all the relevant data pertaining to the adolescents’ response to distress; this essentially comes out with several questionnaires popping up on the screen in a regular interval. After one week, the researchers downloaded all the data using Bluetooth technology or infrared facilities and then analyzed the data. However the application is a promising one in order to find out a real-time application for monitoring and detecting changes in health aspects. In recent future, the researchers are expecting to implement automated code generation technology to make the system more sophisticated refraining from the need to employ programmers. It also plans to include voice capturing facilities especially for open-ended questions. The Murdoch Children Research Institute collaborated with Harvard Medical Institute to make a safer place for implementing this technology in near future.